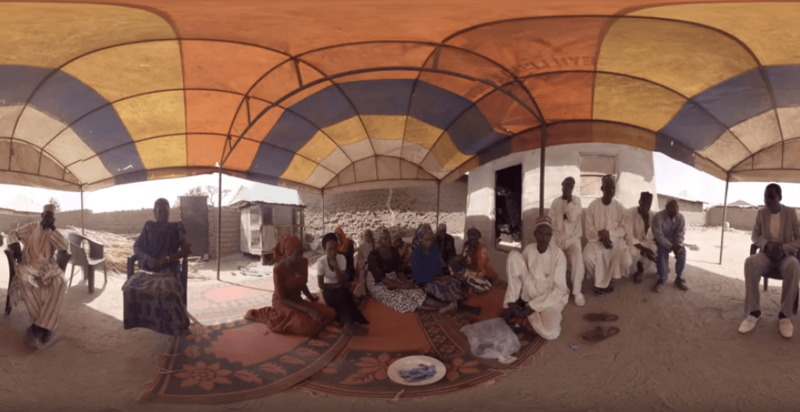 Joel Kachi Benson has released a new film on Rifkatu Yakubu, one of the kidnapped girls from Chibok in a new documentary, ‘Daughters of Chibok’ and it’s emotional. Five years ago, more than 200 girls were kidnapped from a girls college in Chibok town of Borno state. And Benson has chronicled the trauma which Rikatu’s family have continued to live in after she was kidnapped. Lending his camera to the ‘Chibok Girls’ cause, Benson explored Chibok town and the impact of the kidnap on affected families and the community as a whole. ‘Daughters of Chibok’ premiered at the 5th year of the kidnap of the Chibok Girls which held in different parts of Nigeria. The 11-minute long film sees Rifkatu’s mother narrating how she got married at a young age, had eight children, one of whom was Rifkatu, who was kidnapped alongside other girls while in school. The documentary shows the high hopes of a broken mum trying to forge ahead in life after the kidnap of one of her daughters. A peasant farmer planting, harvesting and selling seven bags of groundnuts in a year, Benson says Rifkatu’s mother is trying to live above the poverty level. “Well, two things. So for me, this film has to achieve something. I want to be able to generate discourse and support for the women. It’s one thing to lose your child and you’re waiting for your child not sure if she is going to alive and you are still living in poverty, abject poverty. Most of these women have other children but one is missing and while you are yet to find her, the others are living in abject poverty, that is a double tragedy,” Benson explained. The Chibok story has gained international attention with world leaders calling for the release of the girls but 112 girls are still in either captive or dead. Benson narrates how and why he decided to shoot a film on the kidnapped Chibok girls with a focus on a mother, her family and the community at large. ALSO READ: 5 years after, where are the 112 Chibok girls left in Boko Haram shackles? “The Chibok story is a global story. A story that a lot of people have heard about but there still is no closure. Yeah, we still have 112 girls missing, so from a story perspective, it was, you know, it was an interesting subject to explore. “I was making a documentary, another documentary in the northeast, and that documentary took me to Chibok. And while I was there, I spoke to the people, engaged with them. And there’s this woman that I spoke with and yeah, after speaking with, I was like, you know what I need to, I need to bring people here. I need to bring everyone here to see what’s happening here. And so that’s what inspired it,” he said. Benson noted that there was a rush of emotions during the shoot so much that it became hard for even the crew to film as Rifkatu’s mum was broken and the crew could also feel her pain and trauma. “That was very tough because what happened was that, prior to that time, we were talking about general stuff about Chibok, about the people about children. And then we got into the more emotional stuff, and then it just became very messed up because she was crying. We were crying. You know, everybody was crying. It was just a very, very, it was really tough. It wasn’t easy, it was really hard to stay professional if that if you use that phrase in that state because I could connect to it, I could connect to that story, you know, so it wasn’t just detached listening, we were involved. And, prior to that time, we had bonded, so we were like friends, so it was like a friend telling me, you know, her deepest pain. You know, I mean, you really can’t stay professional,” he said. 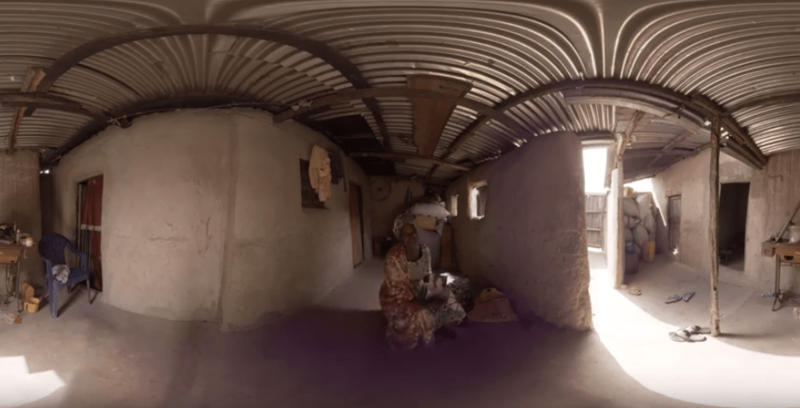 The filmmaker noted for his short film, ‘In Bakassi,’ further explained that the film was short because of the format in which it was shot in Virtual Reality format.